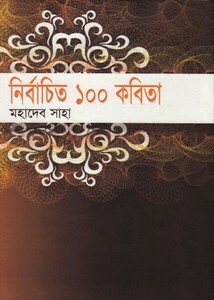 Nirbachito 100 Poems by Mahadev Saha pdf file. Mahadev Saha's poem is an unique world of his own created where He has unveiled to himself closely. His poetry has come up from the villages, corn field, behind-the life and there is the smell of soil, essence of life. Love and beauty come to life in his poems. The main attraction of his poetry are feel of nonchalant pain from heart. This collection of poems are also naturally mixed these memories, smell, dreams, grief. Collect the poetry book.